Here is a third entry for this weeks photo challenge “edge.” Costa Rica is well-known for its canopy tours. They are located all over the country. Almost all of them are over the tree tops. 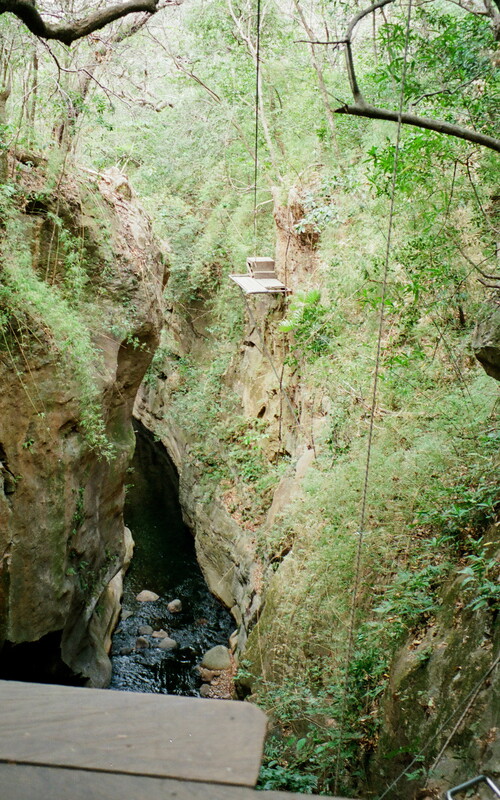 But the one located at the Hacienda Lodge in the Rincon de la Vieja National Park in the Guanacaste region, is a canopy tour over a canyon. As you prepare to start your tour, you are on a big wooden deck, just like in your backyard. After you are strapped in all you do is lift your feet, drop over the edge and you are off. Immediately your stomach drops as the cable sags a little on your first zip line. 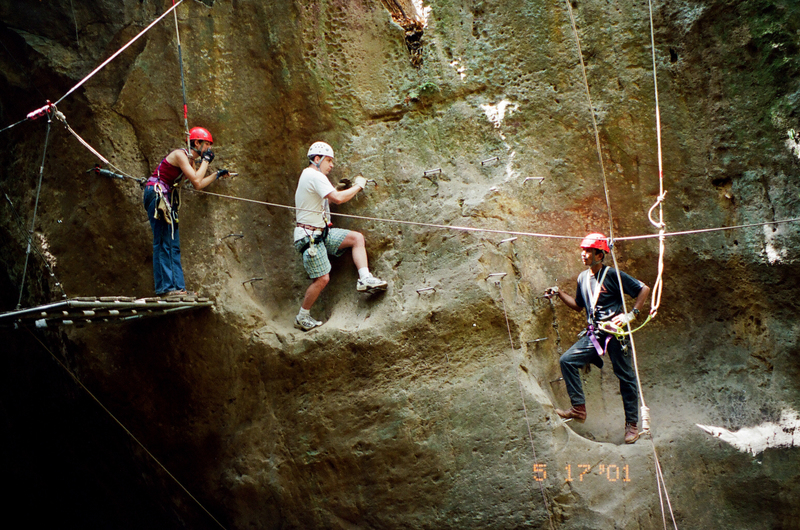 When we reached the first platform it was the size of an oversized picnic table which was bolted into the side of the canyon wall, about 300 feet above the canyon floor. We then zipped to our next platform, which you see in this picture. We then had to use the U bolts at hand and foot levels to move along the edge of the canyon wall to get over to the ledge that our guide is standing on. Then came the fun part. You see that rope the guide is holding? Now grab that rope and swing across the canyon to the other side. Then climb up the U bolts to the next platform.